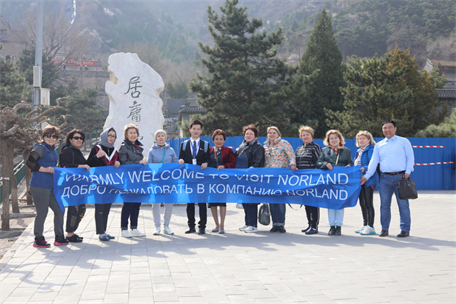 On March 26, 2019, a team of overseas distributors from Kazakhstan, Russia and Ukraine arrived at the Norland headquarters of in Beijing, opening a four-day study, visit and inspection tour. Zou Zhong Quan, chairman of Da Zhi Holding Group, Chen Shihao, vice president of the Norland International Division, and many other senior executives gave warm reception. 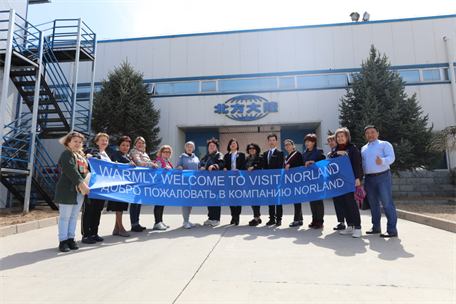 The visit of these overseas distributors have deepened the integration and development of Norland throughout Europe and Asia region, combined with other international markets it strengthen the company’s international market . The Kazakhstan, Russia and Ukraine distributors have achieved impressive market performance in the past year and have received strong support from the headquarters and high recognition from the market. The overseas distributor group came to Beijing to study and visit to better understand the company's corporate culture, improve business building and product knowledge, upgrade professional skills, and be able to develop the market better. 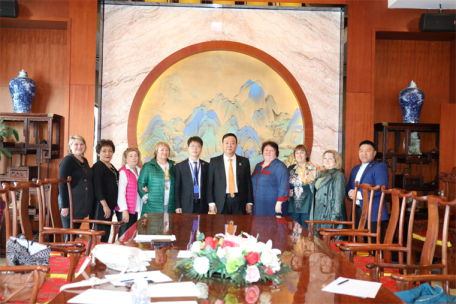 Accompanied by company the company’s executives, the Kazakhstan, Russia and Ukraine first visited the Yanqing Industrial Park in the Norland Group at the foot of the world-famous Great Wall. The park has a domestic first-class modern facilities and several smart automatic production lines and excellent operations. A group of researchers engaged in biological products, medicine, food and related fields are constantly developing new products to ensure that they can meet the growing Chinese and overseas market. The state of technology and modernization of the park and the busy work of the staffs received a thumbs up from the distributors. Subsequently, the company's executives accompanied the guests to visit the Great Wall, the Bird's Nest, the Water Cube and other places of interest. The overseas distributors team could not help but admire these magnificent buildings, and they are captivated by the miracle of Chinese architecture, which also strengthened the understanding of Chinese historical and cultural symbols for the visitors. In the next few days, Norland showed the overseas distributors the progress of biological research and technology in the Norland. 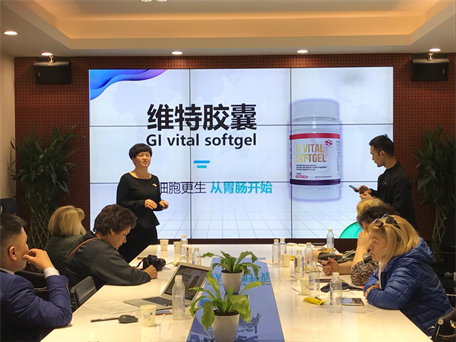 Under the explanation of the business school trainers, they had a detailed understanding of the Wuqing detox composition, Weite gastrointestinal capsules and other popular star products. 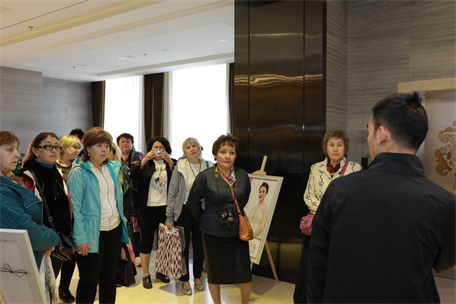 They also experienced the detoxification effect of the Wuqing detox body composition , which was unanimously received by the guests. The members of the overseas distributor team expressed that they have gained a lot from this trip. They not only fully understood the various automatic production lines in Norland, but also saw the soft power of Norland and strengthened their ambition to engage in Norland’s Healthcare business. 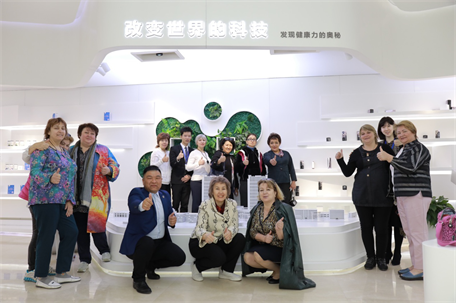 At the same time, the visit has enhanced their products knowledge and better understanding of the business, as well as enhanced the integration and exchange of Chinese and foreign cultures. In the future, we believe that the Kazakhstan, Russia and Ukraine distributors will work together under the leadership of the Norland Group to jointly create a platform for great health in Europe and Asia markets, let Health, Beauty and Wisdom benefit everyone!